Our lemongrass and rosemary body scrub is made with natural oils including sweet almond and jojoba, enriched with Vitamin E for its deep conditioning properties and scented with pure aromatherapy essential oils. The dead sea salt gently exfoliates helping improve circulation and removing dead skin cells to create visibly smoother, glowing skin. 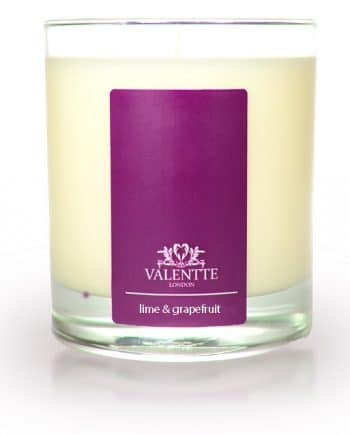 I first came across Valentte at the Country File Show. Loved your concept and your products. 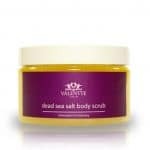 The body scrub helps to get rid of winter dry skin. Smoothing, soothing and smells sumptuous!!! Fabulous product, it leaves your skin so soft. Would definitely recommend it. Amazing smell which lasts for a very long time. Superb body scrub leaving skin so soft. Excellent,quality is tip top,love the feeling of my skin after use,and the smell is sublime,cannot fault the product or the service.Bought mine at Living North Christmas Fayre as a gift for me from my hubby. Beautiful , gentle body scrub. It doesn’t lather unlike some but the results are amazing. Wonderful scent on the skin and baby soft, exfoliated skin in a matter of moments. I was very pleased with the results and am now using it regularly. Go on, spoil yourself and give it a try. The best body scrub I have ever used, and the smell is divine, skin feels softer immediately. Will use again. Smells wonderful and make skin feel so soft. I love it! Beautiful scent and gentle but effective scrub. Soft, smooth skin after first use . No wasted money on fancy packaging at a great price if bought in a set. The body scrub smells AMAZING and is so gentle but is also a very effective scrub. After using the product for the first time my skin feels Soft and smooth. I would highly recommend these products! Brilliant product. A Christmas present along with wonderful hand soap and hand cream. The scent is amazing. 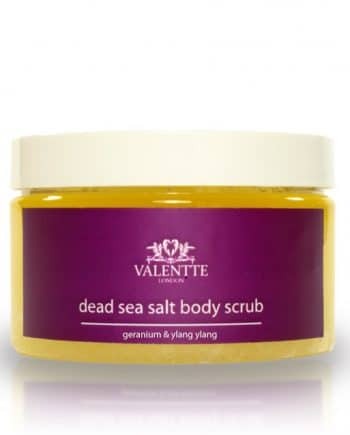 OMG I love this body scrub – leaves your skin feeling baby soft and the smell is amazing. Lemongrass and Rosemary is the best scent ever…..
We love this scrub. Makes you feel totally invigorated after a shower and the bathroom smells amazing too! Bought this at the idea home exhibition and love it. Got a great deal on a box and like the way I can have everything I need in the bathroom in the same fragrance. Something I can no longer get from Jo Mallone. I’m looking forward to trying some of the other products. The lemon grass and rosemary body scrub and lotion were sent as a gift and as yet I can’t comment beyond the fact that the recipient was very pleased with them but has yet to use them. Please see my more detailed review of the White Neroli and Lemon body lotion.